Talking Trees – the importance of old age. Most of us will notice large, old or ancient trees when we are out and about, occasionally we may stop and take a closer look and you don’t have to be a tree hugger to enjoy their presence or consider what changes they have seen in their life – if only they could talk, or maybe they can if we have the ears to listen. 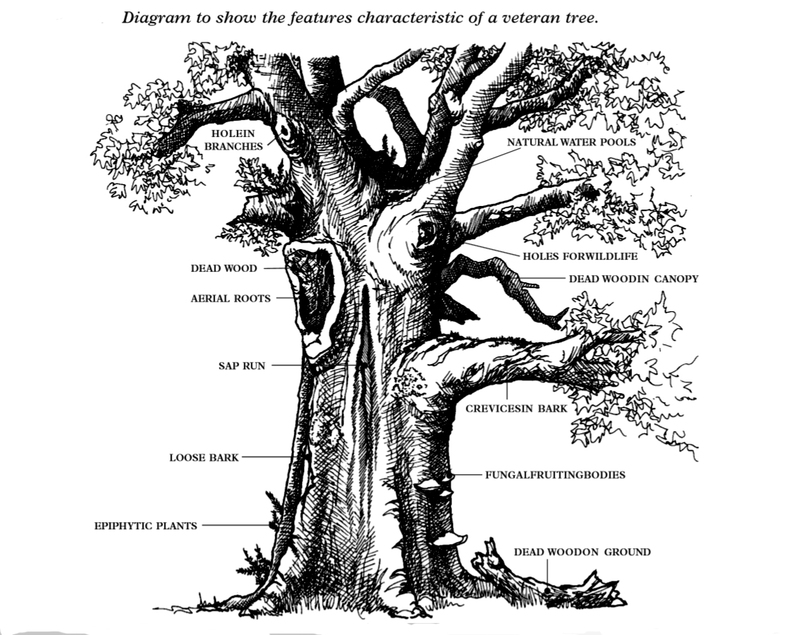 The term veteran tree is one that is not capable of precise definition but we can say that it’s a tree that is of interest biologically, culturally or aesthetically because of its age, size or condition. Some trees are instantly recognisable as veterans but many are less obvious as we shall see. An alternative approach used by some people is to consider that the veteran, or ancient, stage is the final one in the life of a tree when the cross-sectional areas of successive annual rings in the main stem begin to decrease progressively. (Before this stage, successive rings will have already narrowed, but their areas will have been roughly constant, owing to their increasing girth.) In turn, the amount of leaf area that can be supported by the reduced annual increment eventually results in dieback of the crown. For this reason veteran trees are rarely tall with large crowns. Although this definition sounds fine in reality this growth phase may not be clearly recognisable even though it may be the longest one in the tree’s life. Actual age is also a poor indicator of ancient status for trees as different species tend to live for varying numbers of years meaning that age can only be used when considered in comparison with other trees of the same species. At 100 years of age a birch would be old and a willow extremely old. At 200 a beech would just be starting to become interesting, an oak just maturing and a yew in its infancy. One age-related definition sometimes used is when a tree is in the second half of its natural life span. As a tree ages the complexity the roots, trunk and branches are often good indicators of old age but we also need to take into account how the tree has been managed and any damage it may have sustained. Veteran Sorbus domestica Service tree in France. An example of a slow growing tree that is about three hundred years old. All veteran trees are of historic interest as a relict of a former landscape. 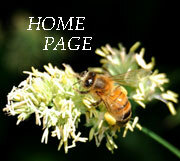 In addition to their importance as natural habitats they are a valuable part of our cultural heritage. The interest lies in the individual trees distribution and location which tell us of past management practices and long lost ways of life. Although in many cases so much has changed that it makes it impossible to put the trees in a past context, others are a little easier. A row of massive Limes where an old railway station once existed or perhaps two or three sweet chestnut on a large open plain show where a hedgerow once stood. 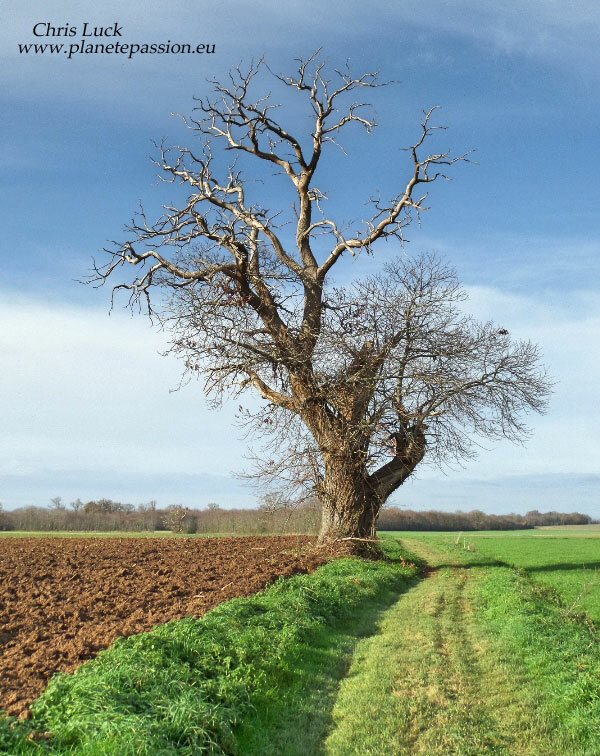 As a rule veteran trees in the open countryside would have formed part of a hedgerow or have been used as markers for land boundaries. Each tree, or group of trees, deserves individual consideration and study, perhaps combined with document-based research in local and national archives to enable us to understand fully its historic context and importance and it could be fun to try to dig a little deeper into the past of any veteran tree in your commune to see what you can find out, you may be surprised to where it leads. It also important to keep in mind that a veteran tree may not always be obvious at first glance if it has been extensively managed throughout time for one reason or another. There are a number of management methods, some well known such as coppicing and pollarding, others less known such as Coppards which are trees that have been coppiced and then later pollarded. While a veteran tree is alive, part of its value for wildlife is that it is a self-renewing resource. However, dead veteran trees continue to be valuable for wildlife because of their slow rate of decay. Such trees are often greatly under-valued but they should be treated with almost as much respect as living ancient trees. Failing to understand this and being to tidy is resulting in a huge loss of habitat for a range of species. As deciduous trees age some branches die and fall off. This provides an opportunity for Woodpeckers to hollow out a cavity to provide a nest site. In future years this hollow will be used time and time again often by different species with Starlings, Loir, (edible dormouse), Honey bees and Hornets being common occupants. As time passes and the tree grows the cavity increases in size which then provides a place for Little owls to nest or for a Pine Marten, Red squirrel or Genet to call home. These cavities will also provide an important place for some bats to hibernate or even use throughout the year, Brown Long Eared, Serotine and Noctule bats are particularly prone to use them. Even before a tree dies completely there will be thousands of species that are dependent on the parts that are dying or dead with around 115 species of hoverfly alone that are saproxylic, but almost exclusively in dying rather than dead timber and to this we can add perhaps thousands of beetles. In the first instance the standing dead or dying wood is invaded by vigorous organisms often longhorn beetles associated with fungi, which attack the wood when it is still hard This paves the way for the addition of secondary saproxylic organisms, which feed on material that has already been partially converted by the primary colonisers, or are their predators which will include insect eating birds such as Tree creepers, Woodpeckers and Starlings that can peck and prod the surface. Coniferous trees will also have hollows and carry dead wood as they age and really old Yews can sometimes have hollows that can be entered by humans and used as shelters, some even have benches in them to sit on or perhaps a shrine. As in the UK Yew trees are often associated with Church yards and other Religious establishments and sometimes monks planted yews in the middle of their cloister. 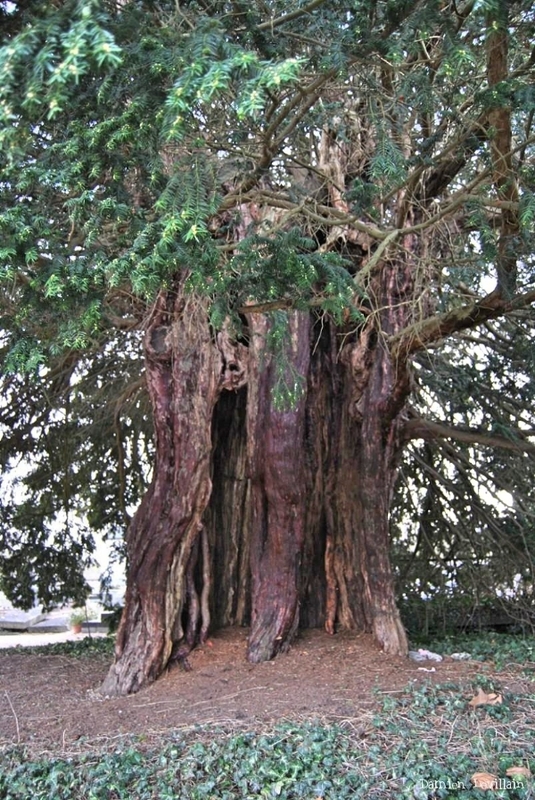 800 year old Yew tree in the church cemetery of Gout, (Seine-maritime). 13 metres high and 5.3 metres circumference. However we look at old and veteran trees it is clear they are important to consider and preserve but we must also ask “Where are the veteran trees of the future” if there is to be a continuity that will provide for both wildlife and human enjoyment well beyond our lifetimes. 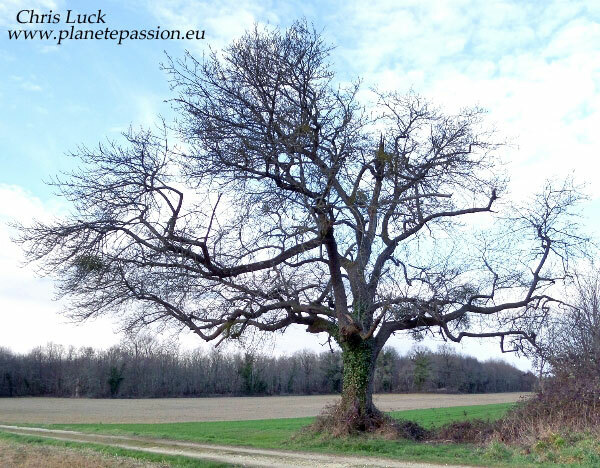 In 1994 an Association A.R.B.E.S was formed for the study and preservation of Les arbres remarquables en France. In the year 2000 the Association created a label for a limited number, (about 200), of the principle remarkable trees in France. Municipalities, local authorities, public and private owners who receive this label undertake in a partnership agreement to maintain, protect and enhance the distinguished tree regarded for its natural and cultural heritage. The Association works alongside the Office national des forêts, (ONF), to evaluate and preserve important trees. In addition an annual competition was initiated in 2011 by Terre Sauvage with the ONF to choose the Arbre de l’année of France. 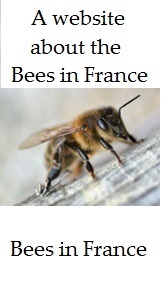 It’s open to all comers via the internet at www.arbredelannee.com and candidates must post 3 photos and relevant information. 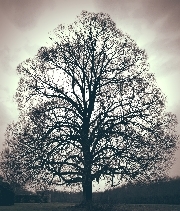 For those with an interest there is also the competition for European Tree of the Year.